Arcadia is a play by Tom Stoppard which first opened at the Royal National Theatre in London on 13 April 1993 and has played at many theatres since. It impressed the critics: the London Daily Telegraph's critic wrote "I have never left a new play more convinced that I'd just witnessed a masterpiece." The play's title is a reference to the Latin phrase Et in Arcadia ego, and underscores the seriousness of its comedy. 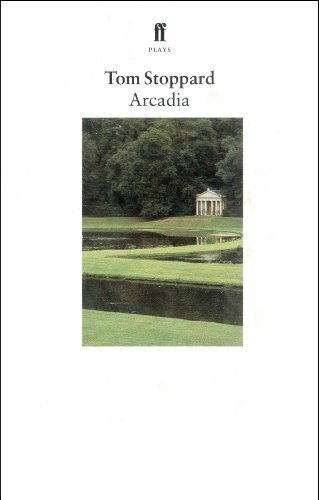 Arcadia is set in an English country house, at two periods, 1809 and 1989, and switches back and forth between them. It takes an acid look at academic research, by juxtaposing the interpretations of modern historians with the clues they interpret, which we see being left by the inhabitants of the earlier time. Arcadia explores the nature of evidence and truth in the context of modern ideas of mathematics and physics. The play questions the power of modernity and mocks the motives behind postmodernity, climaxing in one character's spirited soliloquy defending the beauty and wholeness of Aristotle's universe. 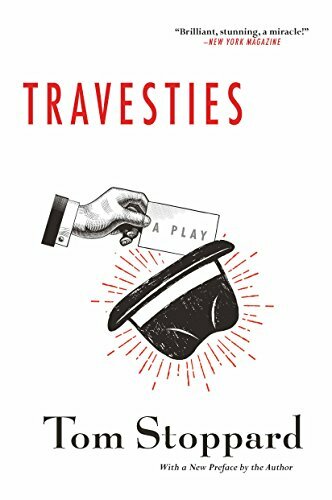 The play includes Tristan Tzara, Lenin, and James Joyce as characters.